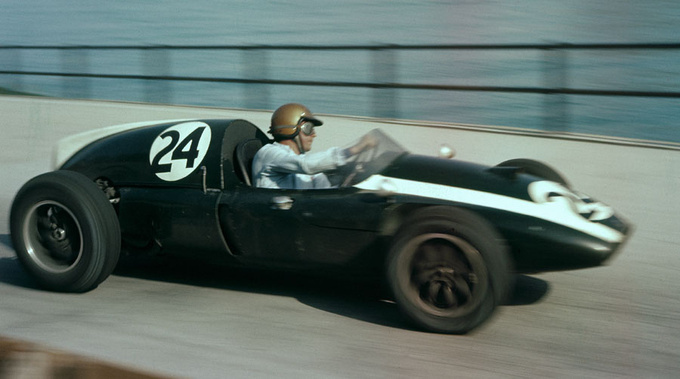 The Cooper T51 might be the most popular car in Formula One! It was designed by Owen Maddock and won two World Championships in 1959 and 1960 at the hands of Jack Brabham. Even cooler is that it was the first rear engined F1 car to win a a World Championship. But the real reason its the most popular F1 car of all time is that nine T51’s appeared on the grid for the 1960 British Grand prix entered by 6 different teams! Of course Jack won that race too in his T51. Over the 4 years it raced, 38 different drivers competed in the T51. 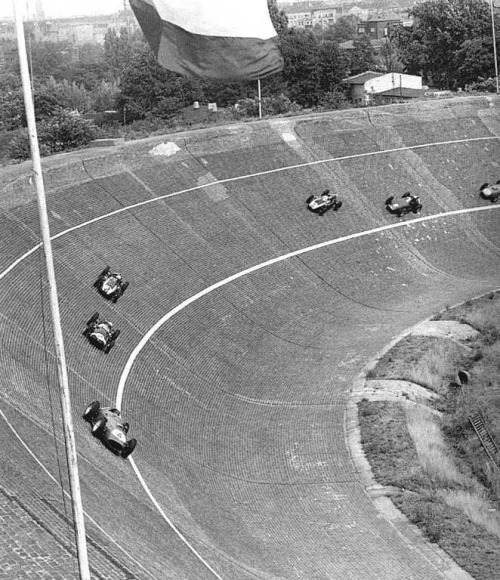 Could you imagine today’s Formula One grid with Nine say Ferrari’s or McLaren’s? The car was pretty innovative so no wonder so no wonder so many teams raced them. Some of the innovations included fuel tanks on either side of the cockpit rather than at the rear which meant the car handled more consistently as the fuel was consumed during the race. The front featured modern coilovers and wishbone suspension up front, but strangely used a leaf spring design for the rear suspension. 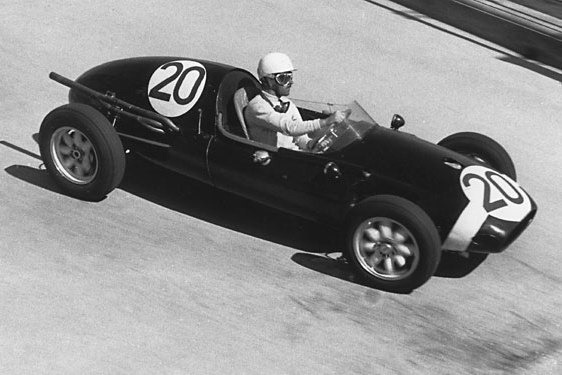 The first Cooper T51 was powered by the 2.5-litre 4-cylinder engine which was built by Coventry Climax specifically for the rear-engined machines. The were other issues with being the first of the rear engined cars though. Things like where to get a rear engined gearbox for example. The shortage of gearboxes eventually created a niche in the market for Hewland to build their famous boxes, but in the meantime many different gearboxes were employed. The works Coopers were fitted with modified Citroen gearboxes, while Rob Walker’s team ran bespoke units from Italian specialist Valerio Colotti, although these proved much more fragile. 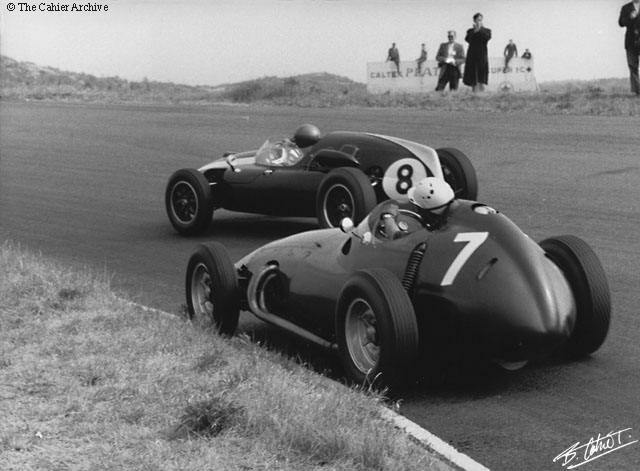 Eight different engines were used in the back of T51s in championship races, with 2.2- and 1.5-litre Climax engines in addition to the standard 2.5: Scuderia Centro Sud and others used 2.5 and 1.5-litre engines from Maserati; the British Racing Partnership team used F2 powerplants from Borgward; Scuderia Eugenio Castellotti used their own Ferrari-derived 2.5-litre units; and one car used a Ferrari 2-litre engine lifted from a 625LM.